In an industry first, Viacom18 has partnered with the world’s largest philanthropic organisation Bill & Melinda Gates Foundation, and BBC Media Action to create a Hindi general entertainment fiction series called ‘Navrangi Re!’ with an underlying behaviour change message on sanitation. Produced by Swastik Productions and laced with much drama and wit, the show is a finite series that forces viewers to sit up, take responsibility and learn to #GiveAShit by paying attention to the issue of faecal waste disposal. Produced by Swastik Productions, Navrangi Re! is the story of a lively mohalla (a neighbourhood) in a town in northern India full of quirky and endearing characters. When it comes to marketing the show, Vats added that he is completely open to brand integrations, should the opportunity arise. “We will be marketing the show in a targeted fashion. We will use a considerable amount of social and digital media to drive the show. As far as brand integrations are concerned, we haven’t done anything like that yet but we will see how the show progresses and then take it from there. As we continue to build this concept, if any brands come along and show interest, of course we will be open to it,” he said. As one who wears his passion for social causes on his sleeve, Vats admits that this concept didn’t really need to be sold to him by the Bill and Melinda Gates Foundation. “The issue of sanitation is something that I am especially passionate about especially in a country like ours. As a company too, we have focused a lot on sanitation. We started with our partnership with Global Citizen, and have also been part of the BMC’s drive to make Mumbai defecation free. It is a very logical thing now for us to look at what is the last thing to address in the sanitation value chain, which was the faecal sludge management,” Vats said, adding that this show was a natural choice for Viacom18. Nina Elavia Jaipuria, Head- Hindi Mass Entertainment & Kids TV Network, Viacom18, pointed out that the show was an ideal fit for the network’s Rishtey channel. “At Viacom18, we are storytellers, and we believe in harnessing the power of stories to bring about change. Navrangi Re! is a product of that philosophy. It is a powerful story narrated entertainingly with the idea to mainstream a topic as important and nuanced as faecal sludge management. Given the wide audience we are targeting through this social impact programming, Navrangi Re! 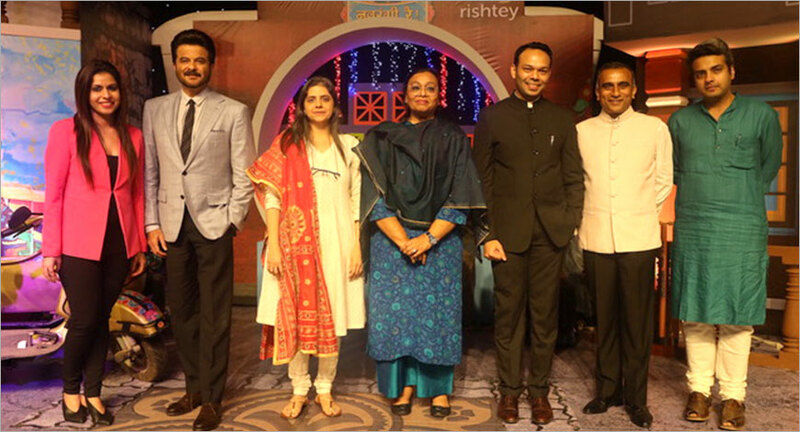 is an apt fitment as the first ever Rishtey Original,” she said. Subjects like sanitation and toilets are easy to work with when it comes to humour, and that is exactly what the show has done. Devika Bahl, Creative Producer, BBC Media Action, further added, "It's quite tricky to engage viewers with an issue like faecal sludge management. The challenge is to convert technical information into full-blown entertainment - a story that's full of romance, drama humour and aspirations. Navrangi Re! is an attempt to achieve that balance." Navrangi Re! will air starting February 2, 2019, telecast on Saturdays and Sundays at 9:30 pm on Rishtey. It will also air on COLORS Gujarati and COLORS Odia at 6:30 pm on Saturdays and Sundays starting February 9. Viewers can also watch it anytime on VOOT.